You may notice a couple things. 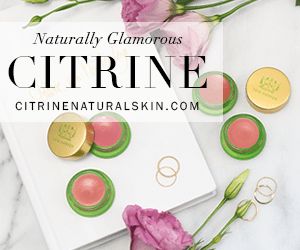 One being, is that one of the last times I posted was last year when I did my holiday sale round-up, and the other is that I have officially changed my blog name to Green Beauty Trish. I made the name change over on Instagram and on my YouTube channel many months ago, but was reluctant to do so over here. But once I realized that anyone searching for scenthive.com would be routed here, I figured I should keep the new name consistent across all of my platforms. And I do apologize for the lack of blogging activity. I still love natural perfumes and feature them on YouTube where my product reviewing energy has been focused as of late. Sometimes I do dedicated perfume reviews and other times they make an appearance within a broader green beauty discussion. But you can be sure I’m always weaving olfactory thoughts and impressions into my green beauty reviews! So now let’s get to the sales that are happening this weekend! These are all brands that I adore and either plan to shop at myself, or have shopped at throughout the year. 5YINA: 15% off everything. GWPs described below and automatically added to order, no code needed. Ends Monday 11/26. Boxwalla: Receive worldwide free shipping on any one-time order that includes Angel Roi luxury vegan handbags and wallets as part of the order. Once you place your order, you will receive a site-wide code for 20% off any future one-time order (exclusions : 2 cycle, 3 cycle & 6 cycle boxes). Promotion lasts through the month of December. My pick: grab a Twelve Beauty Cleansing Cream with your Angela Roi handbag! -Double sizes are here! More Honua to Love! ​In Fiore: ​ purchases over $250 through Monday, November 26, you’ll receive one of our best-selling Fleur Vibrante Instant Radiance compacts ($115 value), an In Fiore Travel Pouch, and a complete sample set of our Made in Japan collection​​. 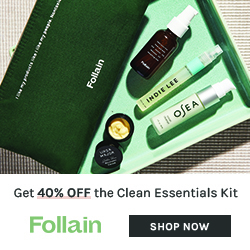 Stark Skincare: Sale going on right now, no code needed! Just head on over because Jess’ products sell out quickly. Sale will go on through the weekend, and possibly longer. There are so many exhaustive Black Friday/Cyber Monday roundups out there that I don’t feel like you all need another one. But I thought you might like to see my edited version, or in other words, where I might be shopping this week. DSH Perfumes: 20% off code HOL9 (reviewed here). 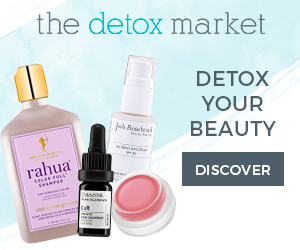 Beautyhabit: Last day to use 20% off code INSTYLE (they have a wonderful natural and organic section featuring many products that I have reviewed). Jackson Sage: Storewide sale. Everything is 20% off today. (Reviewed here).